On September 26, 27 2013, over 200 attendees from all across Montana came to hear Dr. Robert Anda speak, Co-Principal Investigator of The Adverse Childhood Experiences (ACE) Study, along with Laura Porter, Director of ACE Partnerships for WA State Dept. of Social Services, and Christopher Blodgett, Ph.D. Director for the Area Health Education Center of Eastern WA/CLEAR Trauma Center. Dr. Anda was a lead investigator of a large-scale study tracking the effects of childhood trauma on health throughout life. The ACE Study gathered life history and medical data from more than 17,000 patients in California. 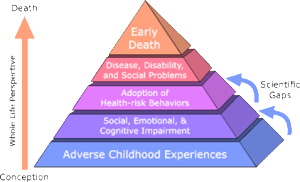 The groundbreaking research found surprisingly high connections between childhood abuse, neglect and household dysfunction with a host of health and behavioral problems later in life. The theme of the summit, “Elevate Montana” gained tremendous support and momentum from Educators, Legislators, Juvenile Justice, Head Start, Early Childhood Coalition, Youth Connections, Non-Profits, Mental Health Professionals…along with many more, all with the goal of elevating the wellbeing and future of Montana’s children. 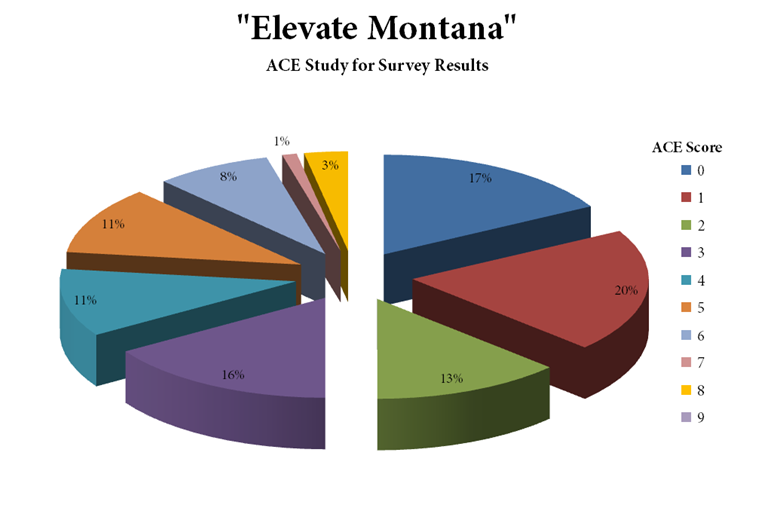 With the tremendous success of the Summit in September, Elevate Montana: ACE Study Summit will be presented in Billings, MT on Thursday May 29th & Friday May 30th, 2014 with an outreach effort to the Northeastern part of the state along with Wyoming and the Dakota’s. Dr. Robert Anda and Laura Porter will be presenting, with additional speakers to be determined. Please visit ChildWise Institute website at www.childwise.org for more information. Registration will soon be available. Q: What will you take with you from the two days that you will put into action right away? Q: How can all those involved make sure that the ACE science is embedded into our systems, communities and networks of relationships so that, collectively, we Elevate Montana?